Freeburg Animal Hospital, located in Freeburg, IL, is your full-service veterinarian hospital and medical facility serving the Metro East area for more than 25 years. At Freeburg Animal Hospital our courteous staff is fully trained and makes sure that they treat your pets like their own pets. Our facility offers state of the art technology to treat your pets. 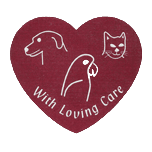 We believe in educating our clients on pet health needs and proper pet care to enhance the bond with your pet. We are now offering laser therapy. Laser therapy can drastically improve the quality of your pet&apos;s life. It can be used for pain management, wound healing, post-surgical healing and rehabilitation. Call Freeburg Animal Hospital today to set up your appointment.